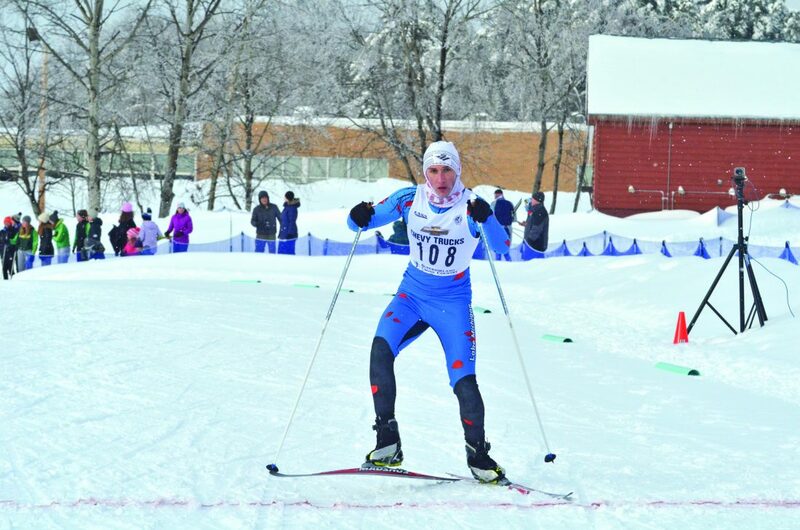 ISHPEMING — Led by its top-finishing boys team, Marquette Senior High School finished second overall at the Michigan High School Cross-Country Skiing Championships held Saturday at Ishpeming’s Al Quaal Recreation Area. The Redmen scored 273 points to win a close boys team race as Traverse City Area was second with 257 and the Copper Country Ski Tigers third with 253. 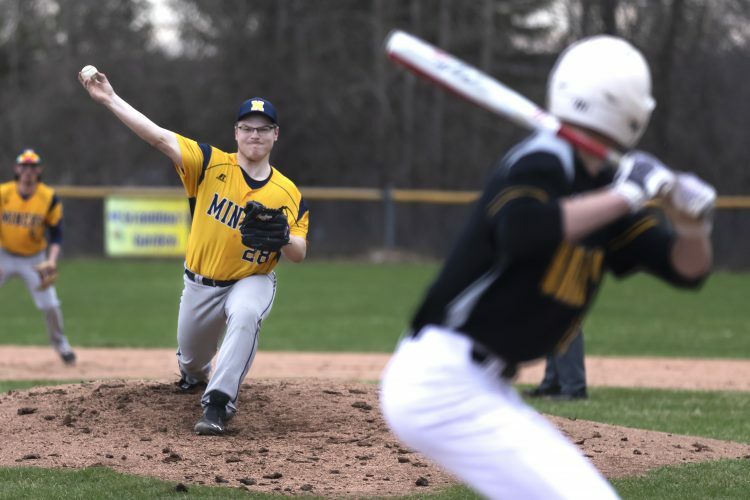 Combined with the Redettes’ runner-up score of 254, the MSHS team totaled 527 points. That was second only to the CC Tigers’ 578 finish. The Tigers won the girls meet in a runaway, scoring 325 points. TC Area was third overall with 506, the Ishpeming Ski Club fourth with 234, Petoskey area fifth with 167 and Gogebic area sixth with 142, all coming from its boys team. Friday’s five-kilometer freestyle races were moved to early Saturday after inclement weather pushed the entire event into one day, according to race official Dan Wiitala of Marquette. There were three events held for boys and for girls that helped produce the team scores — a 5K freestyle, 5K classic and classic sprint. The Marquette boys had the best team score in the 5K classic and the sprint while finishing third in freestyle. The MSHS girls were second in classic and sprint and third in freestyle. The Tigers swept top scores in all three races on the girls side. Individually, the pursuit challenge was the most prestigious award, which combined freestyle and classic times for an overall finish. Nathan Garwood led Marquette to sixth overall in 30 minutes, 31.1 seconds. He clocked 14:59.2 in the freestyle and 15:31.8 in the classic. Gogebic’s Nick Niemi won both races and the overall title. He totaled 28:16.8, 13:46.5 coming in the freestyle and 14:30.3 in the classic. Two of Garwood’s teammates were right behind him as the Redmen had seven of the top 15 pursuit finishers. Matt Pillifant was seventh in 30:37.6 while Aluet Hatfield was eighth in 30:55.1. Marquette’s Julien Malherbe was 10th in 31:21.1, Mathurin Gagnon 11th in 32:00.4, Rubin Hatfield 14th in 33:05.9 and Mathew Janowski 15th in 33:10.0. In addition, the Redmen’s Evan Ampe was 20th, Chase Stahl 25th, Andy Pillifant 26th, Louis Hindman 29th, Joseph Carlisle 31st, Kevin Zhang 32nd, Joseph Czerkes 36th, Sam Markey 37th, Peyton Osborne 44th and Alex Gilliam 45th. Ishpeming’s top finisher was Timothy Ziegler, who was 16th in 33:25.9 with 16:03.9 in the freestyle and 17:21.9 in the classic. Teammate Thomas Kinjorski was 34th in 37:41.1, Jared Steve 35th in 37:45.0 and Alec Prusi 39th in 40:58.3. In the girls pursuit, Marquette’s Ericka Asmus was runner-up in 34:37.2, clocking 16:52.4 for third in the freestyle and 17:44.8 for second in the classic. Anabel Needham of the CC Tigers won the girls pursuit in 32:39.6, winning the freestyle in 16:03.9 and classic in 16:35.6. Also for Marquette, Sammy Borzick was 10th in 40:42.3, Leandra Bruggink 13th in 41:51.1, Grace Argropoulos 14th in 42:05.5 and Emma Stahl 15th in 42:19.1. Teammate Brooke Doughty was 20th, Tauini Camilli 21st and Lucy Ampe 24th. 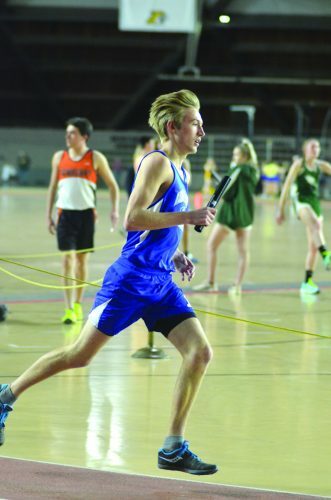 Ishpeming was led by Talon Prusi, who was 12th in 41:31.4 with a freestyle of 19:32.3 and classic of 21:59.1. Teammate Grace Rickauer was 16th in 42:44.7.